Local businesses have a special opportunity to become Business Sponsor Supporters and contribute to the on-going work of Perry Valley Grange. The Grange appreciates their support and encourages your patronage of them. 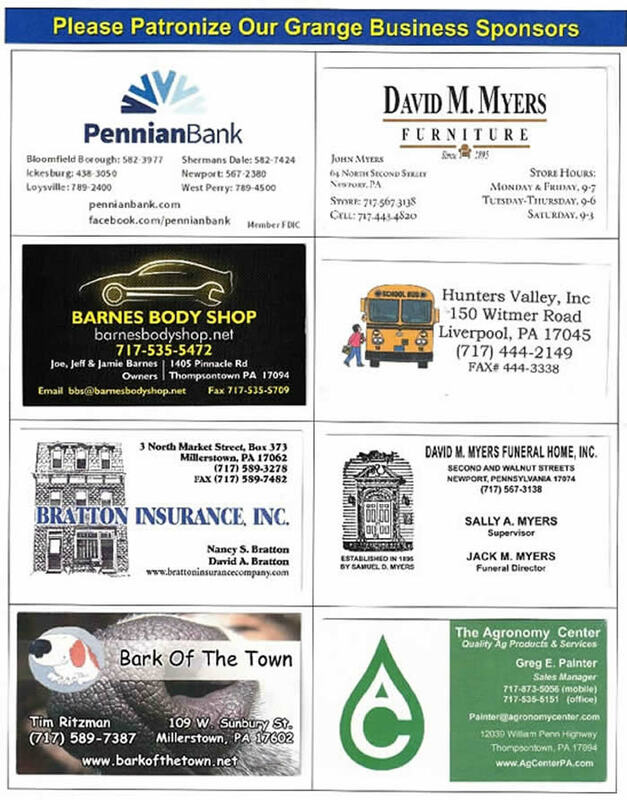 The Business Sponsor Directory below is followed by business card advertisements for each. Click for a Business Sponsor Application to enroll as a supporter of the Grange and partner in service to the community. 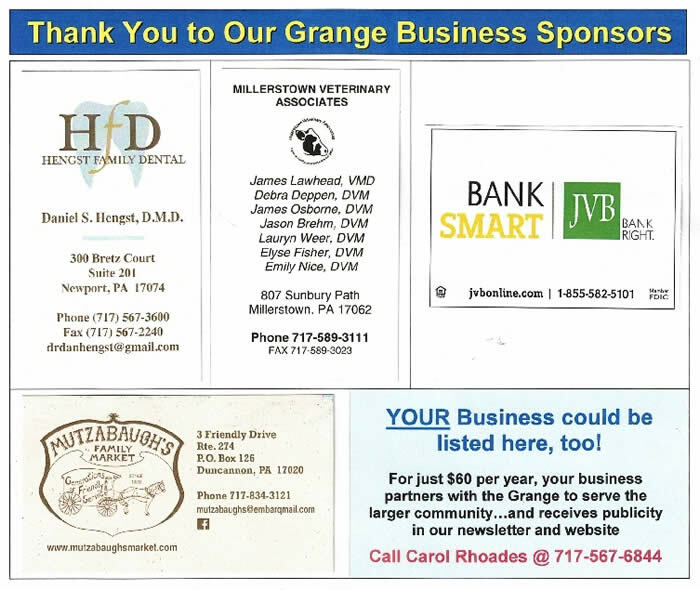 The Business Sponsor annual dues are $60 and entitles your business information to be listed on the Grange website and in the bi-monthly Grange newsletter.